Porridge, parkrun, pasta and Potter – perfect pre-race preparation. My Saturday was rather busy, volunteering and getting rather wet at a rainy parkrun, drying off and doing a few jobs around the house, then heading out to see the last Harry Potter film and my first in 3D. It all served to keep my mind off Sunday’s very long run. 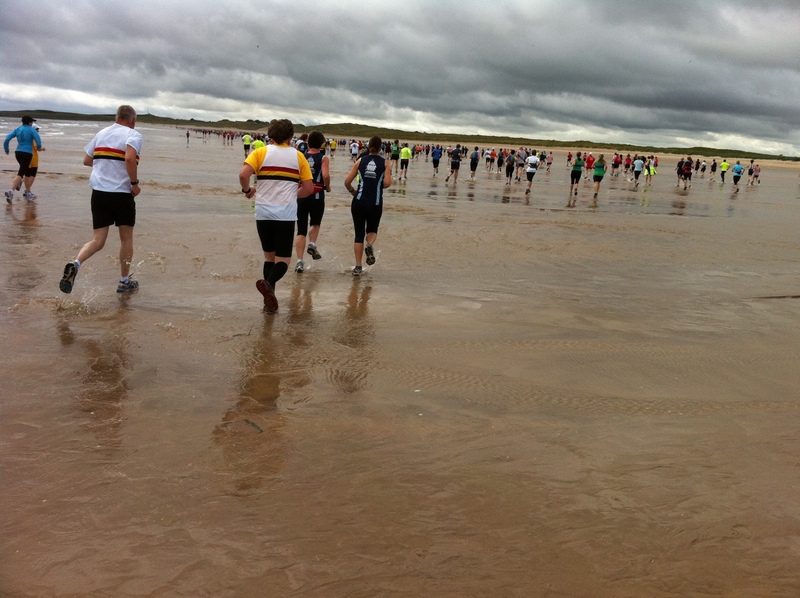 The Northumberland Coastal Run would be my longest run ever and, to be honest, I was quite nervous about doing it. Which meant my brain blanked it out (I do a great line in denial). I was looking forward to it as everyone I’ve spoken to that’s done it before says it’s brilliant (which it is). But it’s at least a half marathon, maybe more depending on the route you take and the tides. And it’s mainly off road across beaches (no problem), grass (not too bad), trails (hmm, depends on the trail) and rocks (I prefer mine vertical with a rope). Besides, I’ve only just got up to 9 miles this year and although I am enjoying running long and slow, I don’t consider myself a distance specialist. So what did I think of it? It’s in my top ten runs for sure. Any run that starts off with me laughing at the spectacle of thousands of runners spreading out across a beautiful expanse of beach is off to a great start. The rain that lashed it down on my trip up to Alnmouth had cleared by the time I’d reached the start at Beadnell and it was pleasantly warm as I went to register. I’d already pinched a hug from Flip and said hello to his brother on the walk to the start. Then Peter looked after me as I wrestled with my chip and number. I spotted Davina and Penny in the queue and saw a splash of red and yellow as I made my way to the sand dunes for the obligatory Fetchie photo shoot with Dave, Steve, Lesley (so very happy you could run today), Nadhim, Allan, Paul and Jamie. And I said hello to many more Fetchies including Christina and Mick. There was quite a crowd of us doing this race. It was a very low key start. Runners spreading out over the beach, nearing the waves, cutting the corner for the shortest route. A shout of something I could not hear, then a hooter and we were off. No danger of a bottleneck at the start of this one. Penny and I had hatched a plan to run together. And I was very glad to have the company and the sensible pacing from the start. This isn’t a race I told myself. 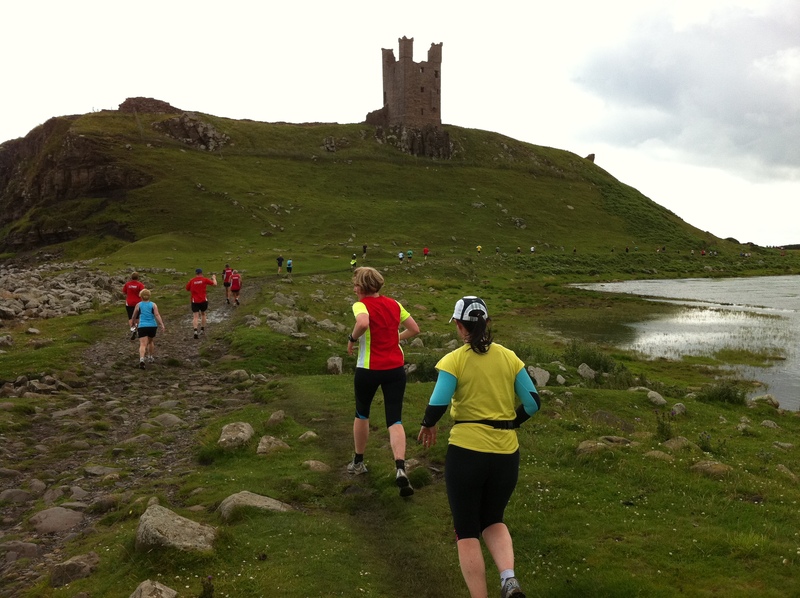 It’s just a social run along some of the most beautiful coastline in the UK. Relax and enjoy it. Okay, so we did hoon it a bit on the first mile 😉 But blame the freedom of the outdoors, the sound of the waves and the joy of running over the sands. Splosh! I hit the first river/puddle on the beach without too much dampness, but soon we were squelching through, feet thoroughly soaked. It was a lovely cool feeling on my toes, until someone mentioned blisters. Was it the first path up from the beach or the second where I stopped to fiddle with my sock? There was definitely something rubbing and I couldn’t fix it. Oh well, ignore it and my feet will dry out. Penny was great at keeping me on track, just running easy, reigning in my natural impulse to go off fast. We saved our energy walking up the dunes off the beach and taking a little walk break at the water stops. I don’t think we ever slowed down for more than a minute at a time, but as the race went on these became a bit more frequent for me. And her greater experience at longer distances showed and she went on to finish really strongly. There were so many beautiful sights along the run, from the pink mallow and bluebell shaped flowers along the coastal path to the grandeur of a castle by the beach. Cheery marshalls and the occasional local encouraged us on at every spot where you could have made a wrong turn. The walkers we passed asked about our Fetch vests and someone held a gate open. Clambering up the rocks from Embleton beach was quite a challenge, but one filled with good humour as everyone took their time and tried not to slip. The half way point felt like it came quite quickly, but I was really unsure about having to do all that again. 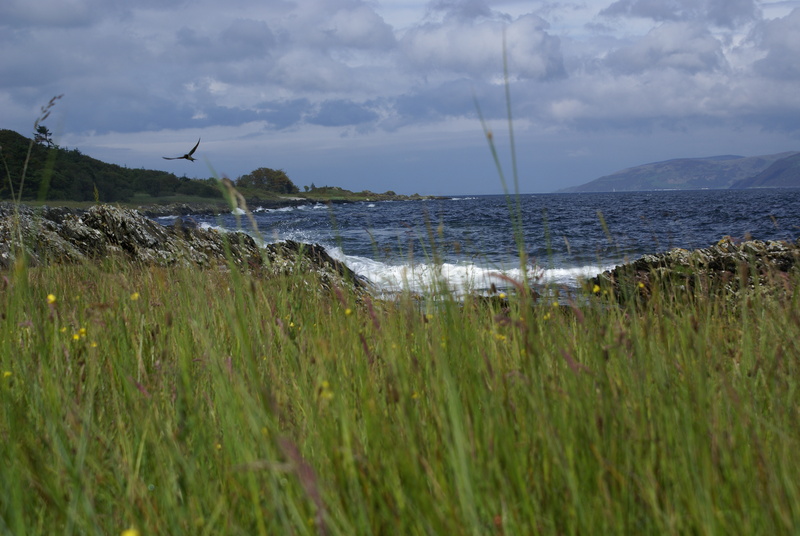 Back onto the coastal paths. The cool breeze on our faces, the steady sound of footsteps. Checking on our progress, chatting about future plans and races, Pen and I swapped places dozens of times. Just as I was admiring her sure footedness over a rough and muddy bit of trail and thinking to myself how I don’t do much trail running she said something about it being a tricky surface to run on. I’d started off clocking the miles and the splits to keep a check on the pace, but realised that could be a bit irritating, so had stopped looking at the watch until we were just over 9 miles in. At that point this was my longest run of the year, and it caused me a bit of a sticky patch. We were still running and kept passing a friendly couple in red T-shirts with Clowne Runners on the back. But I found myself stopping and walking more often, on flat bits I didn’t need to walk. Not sure why as my breathing was fine and although my legs were tiring, nothing really hurt. I wasn’t consciously stopping or thinking about walking. But I did, even when Penny said ‘just a parkrun and a bit to go’. I think it’s a mental tiredness thing, as it’s similar to the down I’ve had around the 9 mile and 11 mile mark on the Great North Run. I snacked on some mango and Percy Pigs in my pocket and tried to pay more attention to my surroundings as I felt I’d been focusing on my feet and the ground for too long. Even the last stretch of road before the beach was a bit of a struggle. Pen’s marathon training helped her dig in and take off here and I felt like I was holding her back as we juddered down the steps and onto the last beach. I’d heard about this endless beach. The finish line that will never come. And something inside me determined that, leg weary as I was, I would run this – every step. After all, the beach is where I started running. And so I ran. As Penny outstripped me and pulled ahead, I kept going. When a spring of cramp vanished in an ouch, I did not falter. I looked ahead at the running colours in the distance, spotting Flip and Anna further forward still. And I ran. Looking up at the dark clouds gathering inland and the hearing the thunder. Following the focus of a couple of photographers and spotting a large raptor hovering overhead. Feeling the first gentle spots of rain. Rejoicing in the glorious freedom. And from somewhere I found it. As the crowd of supporters grew, sheltering beneath umbrellas, I found my kick and geared up for a final finish, hearing someone calling my name as I raaaar’ed over the blue timing mat. Now the rains came. 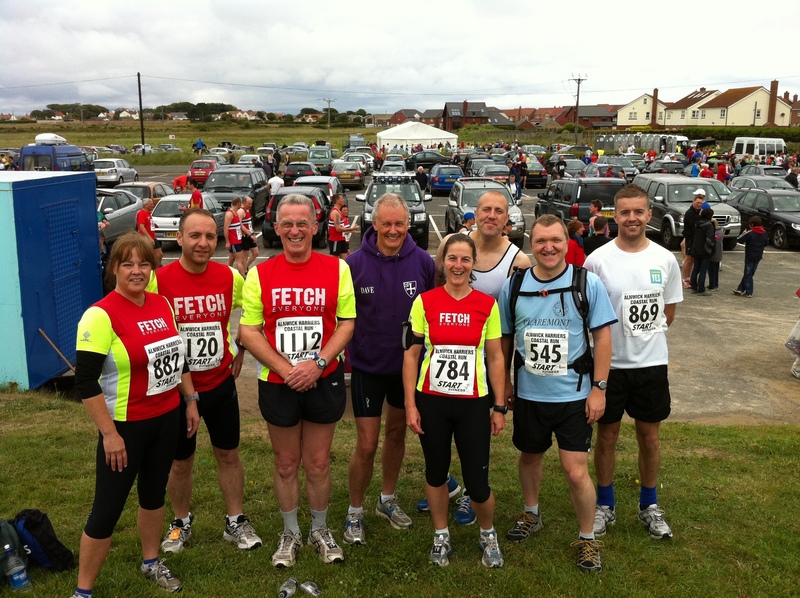 And our little band of Fetchie finishers scattered in search of T-shirts, baggage and shelter. It was a shame not to stay and cheer on others, but the weather told me my race day was over. Well I’m back after a week off training and work, enjoying some fine food, rest and relaxation in beautiful Scotland. Just the right kind of break, with no timetable to keep, no set plans, just seeing what each day brought and enjoying the landscape and surroundings whatever the weather. 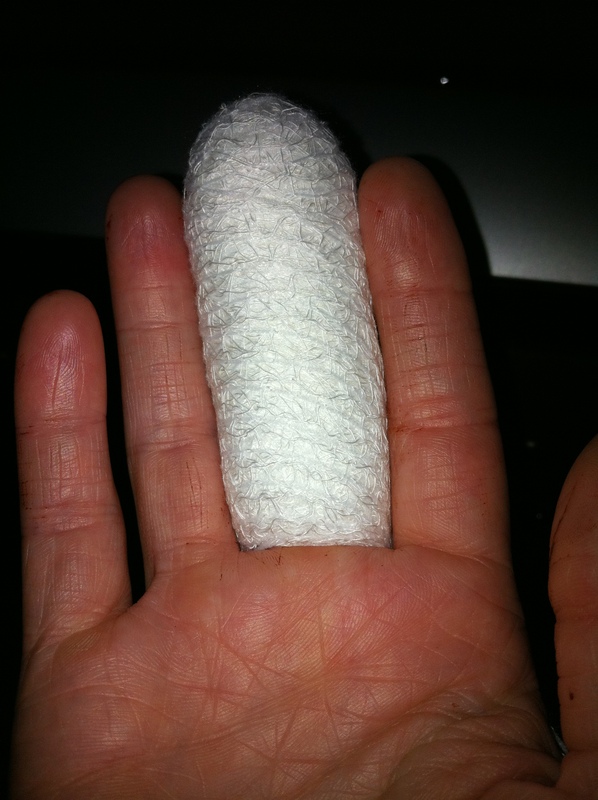 I had planned to ease back while I was on holiday, but took things even easier than planned when I hurt my finger. I did manage a wee run one morning, 4 miles over some trails and up a geet big hill near Port Appin. It was lovely just to run and explore the countryside, although it reminded me that I don’t hit the trails often enough. While I could still run, I really missed my cross training. I’m hoping the rest will have done me good. It certainly won’t have done me any harm. In the big scheme of things, I’ve missed one long run, a couple of interval sessions and some cross training. So, not much really. I love Scotland. The landscape changes from day to day, hour to hour and even the skies seem bigger. 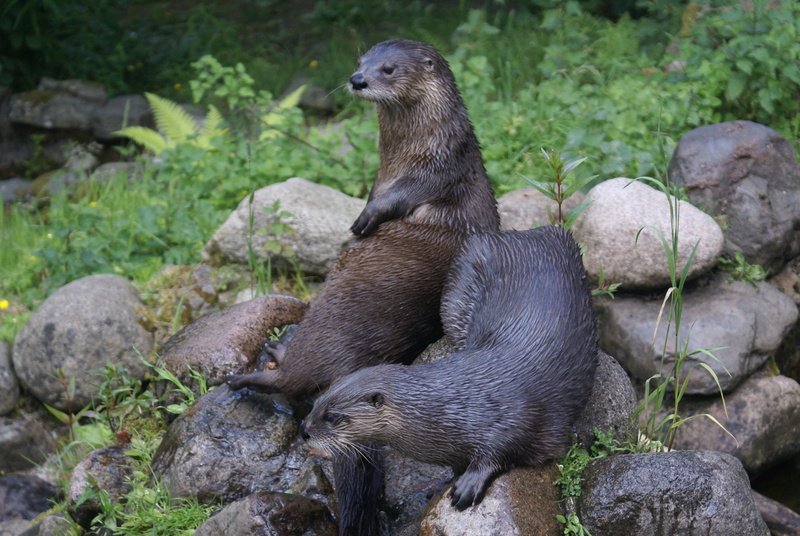 I’ve inherited Gary’s old DSLR camera as he’s had an upgrade and really enjoyed getting out to take some photos, especially as we were lucky enough to see lots of wildlife, including some very photogenic otters at the Sea Life centre. We ate well too. Lots of local sea food, including divine scallops and oysters. Even a bandage wasn’t going to stop me getting stuck into a grand platter. But fantastic 3-course meals, big breakfasts, late starts and lie-ins have left me feeling rather lazy. Oh, the finger’s fine by the way. I had my stitches out on Thursday and it’s healed really well. I’ll still keep a dressing on it for a while to protect it, but I really am very lucky I got off so lightly. A break would have put paid to my next triathlon and tendon damage could have meant long term trouble. No more boxing for a couple more weeks though! Today I enjoyed a really lovely long slow run with my friend Penny. She’s training for the Marathon du Medoc, so really building up the mileage a bit more than I am, but it worked out well for us to run together today. We opted for the Run for Bob route, a lovely route that takes in the seaside, cliff top paths and some up and downs through a woodland glade and finishes back on the coast. With a gorgeous sunny day, we kept the pace conversational and just enjoyed getting some miles in the legs and easy chat. We were out for over an hour before I looked at my watch or started to wonder how far we’d come. As we peeled back around to the coast, Penny continued for a little longer to complete 11 miles, while I stopped at just over 9 – my longest run of the year to date and definitely one of the most enjoyable. I enjoy my solo running for the space and freedom it gives me to think or just clear my mind, but with the right company the miles just fly by on the long run. And today 9 miles was a real pleasure topped off by a ’99 with monkey’s blood. It’s given me lots of confidence ahead of next weekend’s really long run – The Northumberland Coastal Run, which could be up to 14 miles depending on the tides. I shan’t be racing, but I am looking forward to a scenic run along the beautiful coast of Northumberland and meeting lots of my running buddies. I’m hoping there’ll be ice cream at the end of that one too. Author The ScribblerPosted on 10 July 2011 10 July 2011 Categories run, training, travelTags long slow run, otters, run for bob route, ScotlandLeave a comment on Back back back! I managed to dislocate the top joint of my middle finger on my right hand at boxercise on Wednesday night. An absolute freak accident as I caught a punch badly and it got bent back very sharply. So I spent a couple of hours in A&E getting checked out, X-rayed and stitched up. It just reminded me what a fantastic service our NHS is. Okay, I was lucky to be there on a quiet night with a relatively simple to fix injury, but we just turned up at a local hospital 10 minutes from where we live and got sorted. And there were a total of 7 people involved in my care during the relatively short time I was there. Given that I write for a living and I’m right handed, I was very glad to get off so lightly. Of course that hasn’t stopped me bemoaning the fact that my injury mean I missed my favourite Thursday morning PT session this week. Or that it sidelines me from swimming or cycling for another week. It shows how much I enjoy everything I do, that I’m sad I can’t enjoy some of my usual cross training. On the positive side though, at least it doesn’t sideline me from running. But I am going to take it as a sign that maybe a week doing a bit less than usual won’t hurt too much. Ouch!